If the last quarter of 2016, saw journalists across the globe having a Trump up their sleeve, 2017 has already seen corporate action like never before. 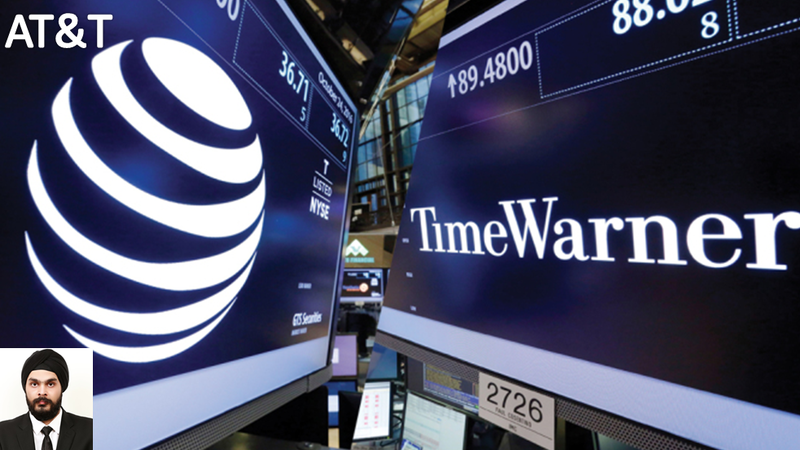 AT&T’s 109 Billion$ acquisition of the times warner group has kept tongues wagging for a while now. AT&T is the world’s largest telecom company in terms of revenue and is also a giant in terms of media broadcasting (since its acquisition of DirecTV) in the United States. With a lineage in telecom that refers back to the originator of the telephone, AT&T has been diversifying its range of services over the past decade. The Times Warner group is the parent company of the most famous content ever created. From Bugs Bunny at Warner Bros to Batman at DC, Warner has left no stone unturned in keeping audiences captivated. With revenues over 28 Billion$ in 2015, Times Warner proudly sat in the third position of the world’s largest entertainment companies. “Content is King”, the cliché has never been as relevant as it may be today. Comcast’s acquisition of NBC Universal has shown how even the biggest entertainment companies in the world are working towards improving their standing. This is what makes this acquisition interesting. Mergers are generally of two types, vertical and horizontal. Horizontal mergers are those, in which two competitors merge to create a firm which has a strong hold in the market. Vertical mergers, on the other hand, see organisations on different levels of the delivery chain merging to combine their expertise and resources. Economists are generally worried by Horizontal mergers because of the change in the market dynamic that they bring about. Certain horizontal mergers may completely change the functioning structure of the economy. This ensures economists keep a hawk’s eye on such mergers. The irony is that the Times Warner and AT&T merger, is not horizontal. They are not competitors, rather, Times Warner creates content that is broadcasted by AT&T. So wherein lies the problem? It lies in the size of the companies. AT&T is the largest telecom company in the US. It also is amongst the top players in terms of Mobile communication and satellite television network. Currently, AT&T is an aggregator and distributor of the content that reaches its customers but with this deal, it will have a direct hold over a large part of that content. It will enable AT&T, to allow higher volumes of free and contracted content as a part of their service. This will almost wash away the competition in the space. With president-elect, Mr. Donald Trump himself stating, “this deal will result in concentrating too much power in the hands of too few people”, the deal should have looked like a wipeout. But, with the magnitude of the players involved, Chinese whispers claim a change in tone by the Lawmakers. In case the deal goes through, suggest that the government compromised on a level playing field. It just seems too big a risk for a government still in wet nappies, but what actually pans out, remains to be seen.